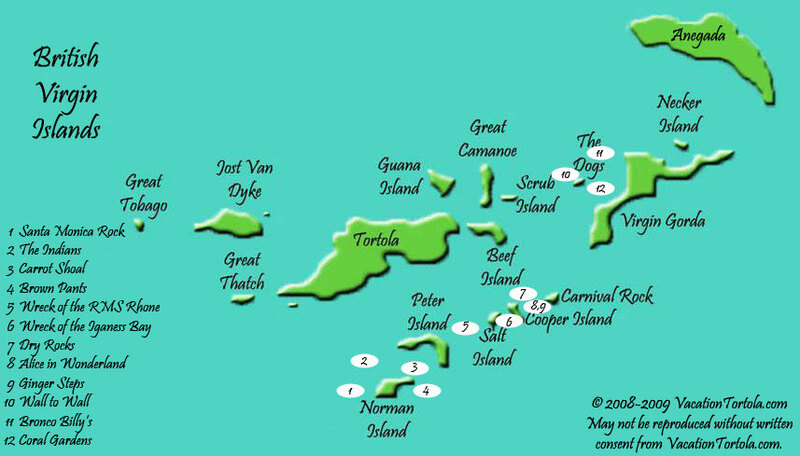 These are some of the most popular scuba diving sites of the BVI. As you see the sites start in the Southern region of the country sweeping up to the Northeastern end of this tropical paradise. Now this map doesn't show all of the sites. There's so many pristine, enchanting places that I just can't write about them all! If you'd like to find a more secluded place to use your mask and fins then speak with the crew at Blue Water Divers. If you're more comfortable staying on top of the water instead of under it, then the snorkeling sites you'll find here is probably more your speed. 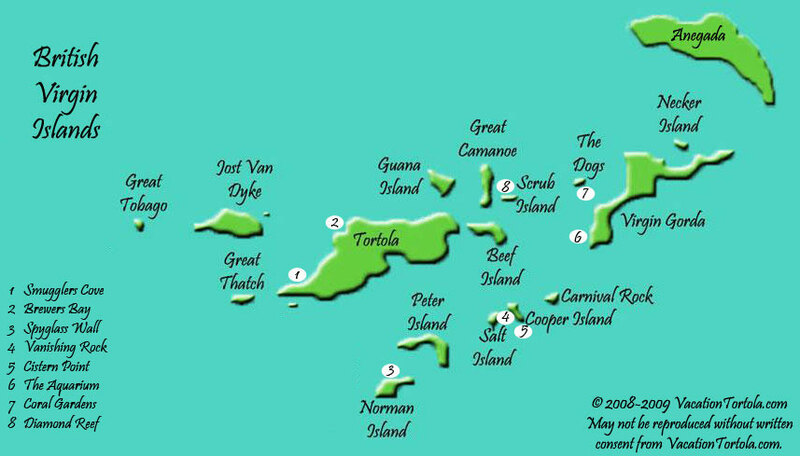 These sites are scattered all over the BVI. Want more insight on what each one of these sites has to offer? Then check out my best places to snorkel page. You might even get up close and personal with a manta ray!